vinyl records LPs for sale. Elmore James was born in Mississippi in 1918. He started making music when he was 12 years old using a one stringed instrument called a jitterbug. By the age of 14, Elmore was working as a musician on the weekends in different juke joints around town under the name Cleanhead. Sometimes he would play with traveling musicians coming through town such as Howlin’ Wolf, Robert Johnson, and Sonny Boy Williamson. By the late 1930s, he had created his first band and was touring alongside Sonny Boy. Elmore James is often considered the most influential slide guitarist of postwar America, and he became known as King of the Slide Guitar. His most iconic songs is a reworking of the Robert Johnson song called I Believe I’ll Dust My Broom, and he ended up recording different variations of this song. Elmore stayed busy in the 1950s and early 1960s playing all around Chicago. He passed away from a heart attack in 1963, and his wake was attended by over 400 blues musicians before his body was sent back to Mississippi for burial. 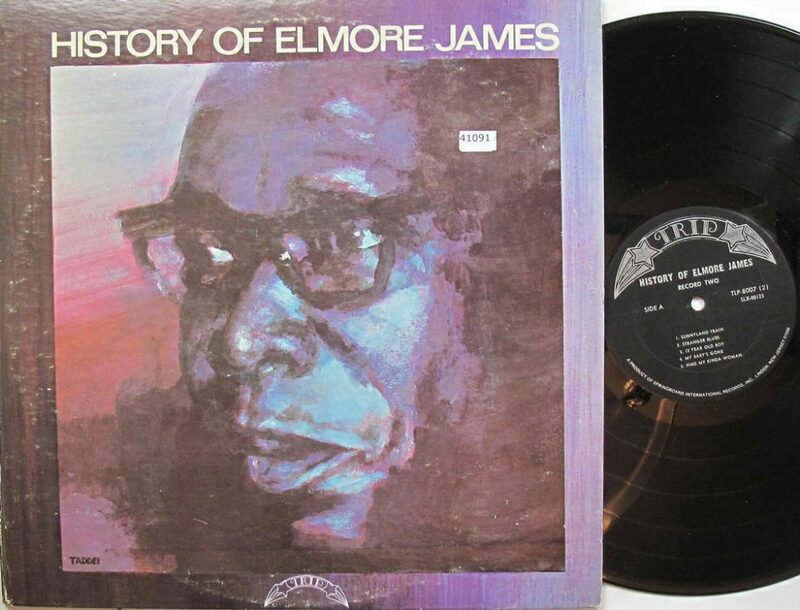 We recommend starting your Elmore James vinyl collection with the excellent History of Elmore James double album collection of various songs.. Our inventory is constantly changing, so check back often, or browse our list of vinyl from blues musicians.